The Scheduler shows the time on the X axis. Event box height is fixed. Concurrent events are handled by increasing the row height, not by shrinking the event box. This reduces the concurrency problem: The increasing number of concurrent events doesn’t reduce readability. DataResourceField is important – the values from this column will be matched with the resource IDs (Resource.Value). 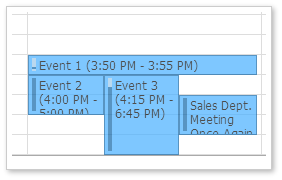 This view doesn’t show event name (DataTextField is bound to an empty column). 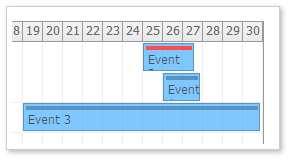 In the timeline view, the resources are replaced with events in the row headers. There is always just one event per row. 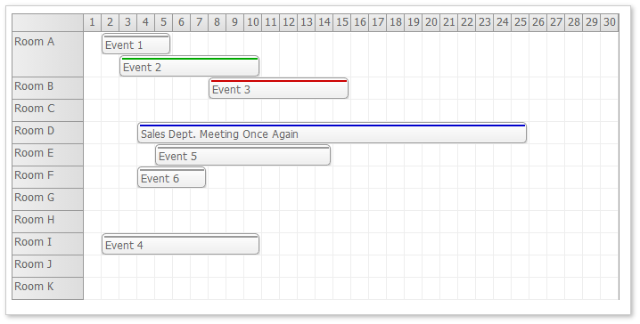 In the Gantt mode, it will display each event in a separate row. 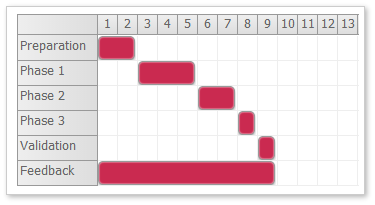 See also a detailed explanation in the Gantt Chart Tutorial [code.daypilot.org]. You can set the CSS theme using CssClassPrefix property. Several pre-built CSS themes are available. 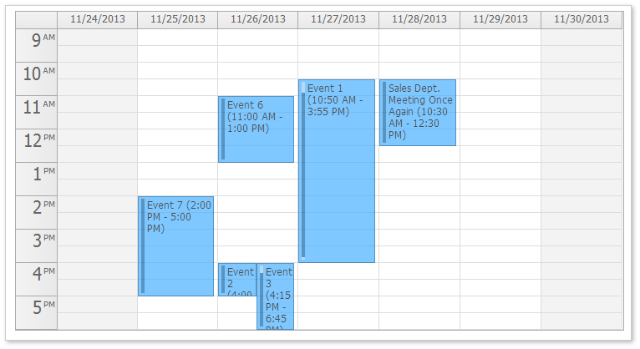 You can also browse a scheduler theme gallery or design your own theme using the online scheduler CSS theme designer. April 20, 2009: Release history link added. Minor formatting changes.